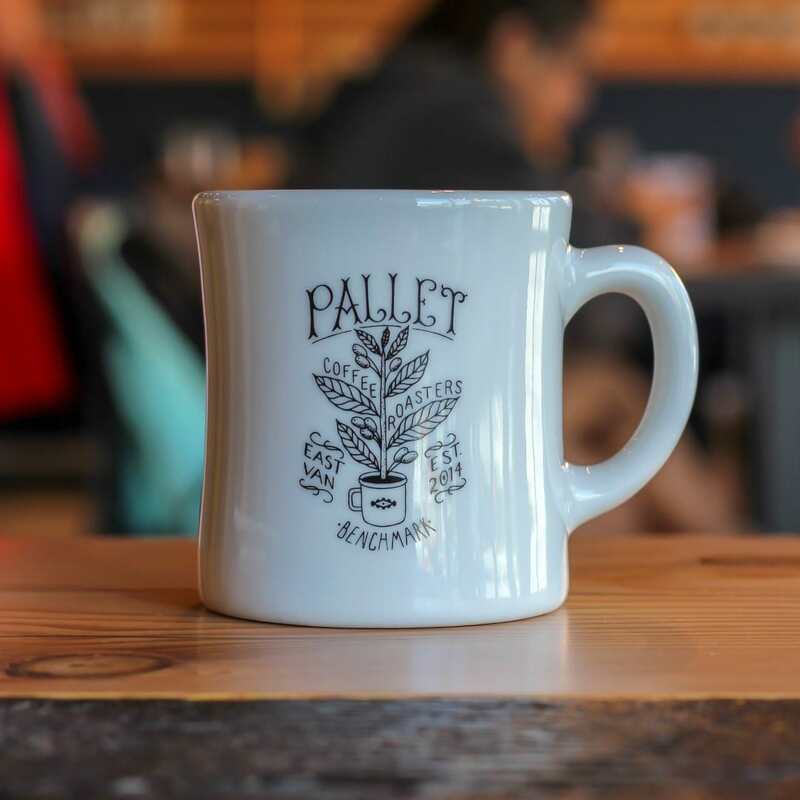 I’d be pretty surprised if you’ve not already heard of Pallet Coffee Roasters, they won the 2017 Roaster of the Year award as well as placing third in both the 2017 Best Coffee Shop awards as well as the 2017 Best Brunch Awards. 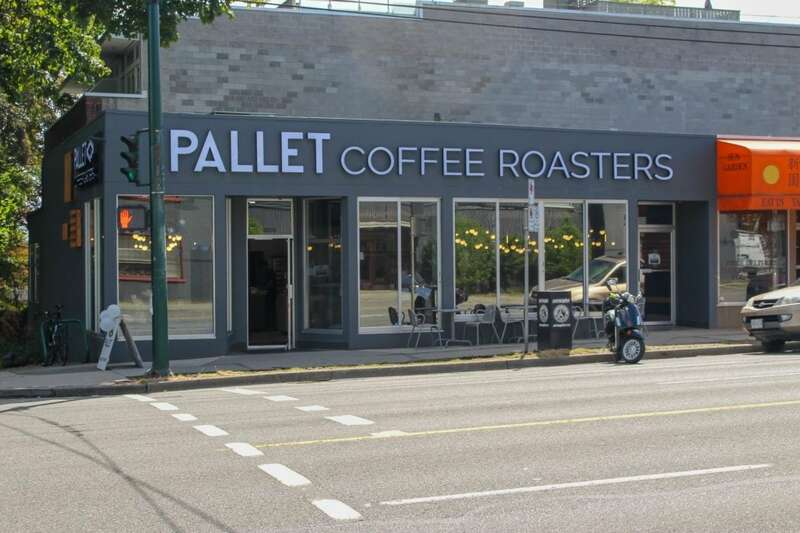 So colour me surprised that their new location, Pallet Oak Street, is pretty damn good too. I’m sure you know what to expect, let’s do this thing. 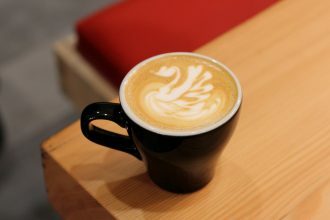 My coffee was made with their “Benchmark” in-house espresso beans, a blend of coffee from Papua New Guinea and Brazil. 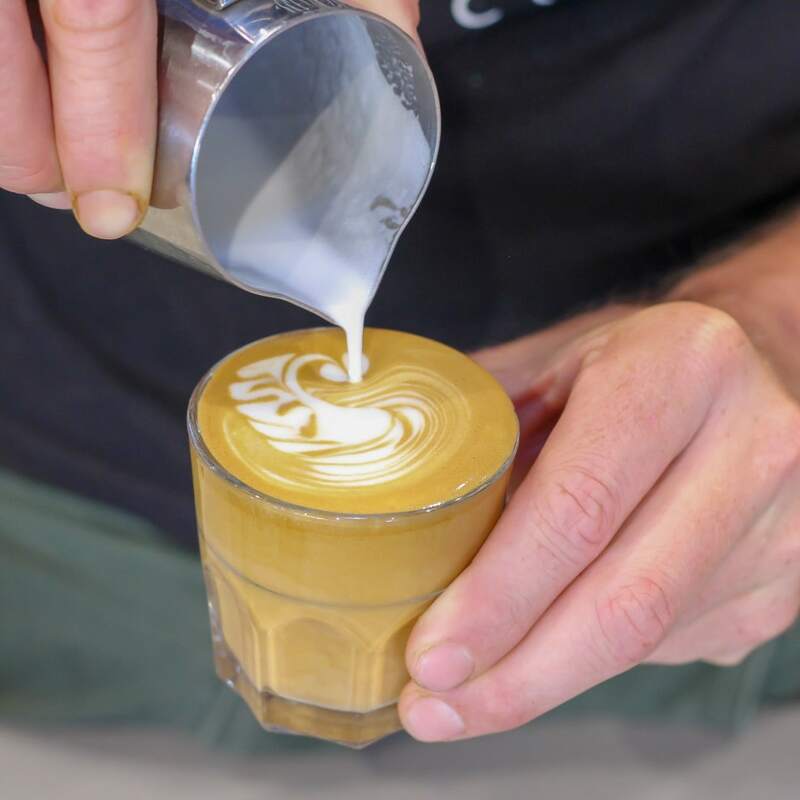 You get a sweet, nutty and smooth tasting drink, with a tiny bit of fruity something or other coming through. I couldn’t quite work the last part out but it was damn delicious. Holy grape tasting deliciousness, this was an incredibly bright and fruity coffee. Even at high temperatures, I got some amazing black grape notes from it, as well as it having a smooth and full mouthfeel. It only got better as it cooled, with the fruit notes getting even more intense. 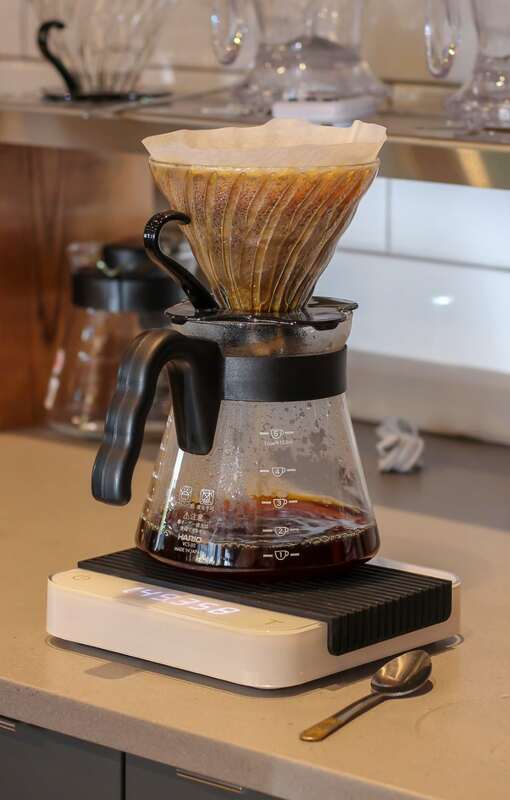 One of the best pour over coffees I’ve had this year. Smashed up avocado, chopped up baby tomatoes, some herbs, I think some onions and a drizzle of balsamic vinegar dressing made up this bright and beautiful breakfast dish. 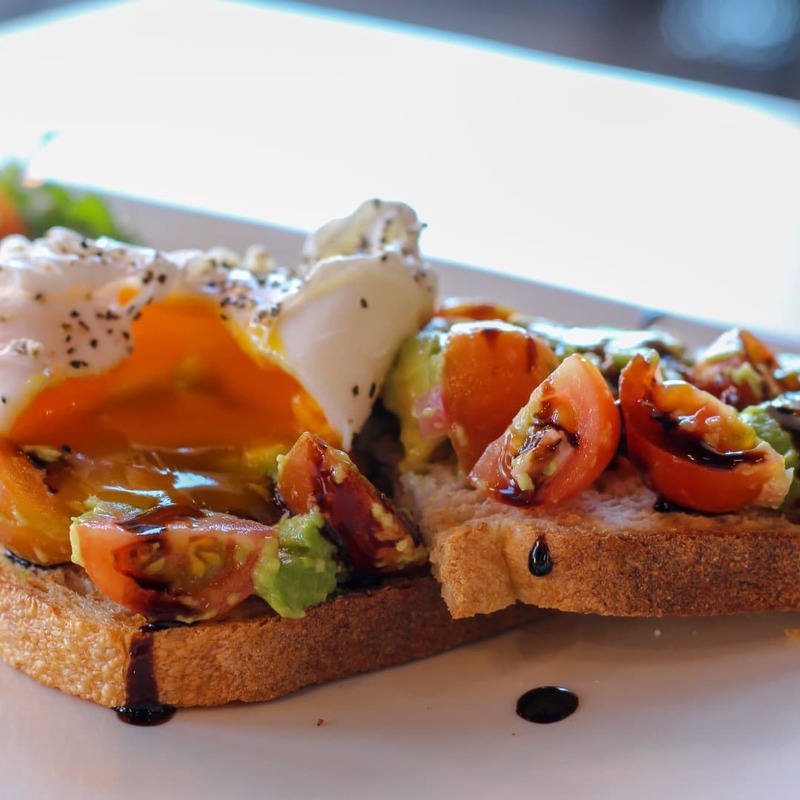 The flavours balanced well together, the poached egg was perfectly cooked and the dressing was bright enough to balance all the fatty avocado flavours out. Thoroughly enjoyable. 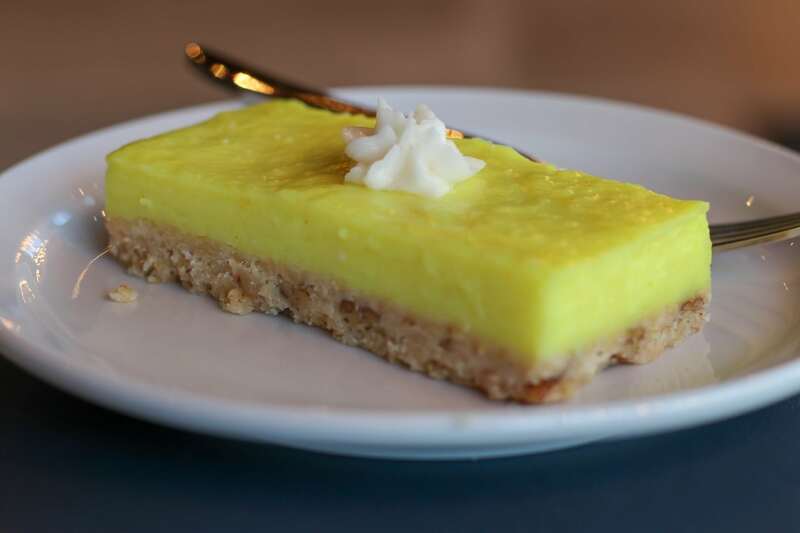 Say what you want about gluten-free stuff (for example; you’re probably not gluten intolerant, you’re probably just a drama queen), this thing was a citrus, punch in the face example of how to use lemons in baking! I find these kinds of sweets usually end up being overly sugary, but this was a nice balance of sweet to tart, edging slightly on the tart side of things, just the way it should be. Be warned though, despite the fact that it’s small, it’s incredibly filling, even when you’re like me and have a separate stomach for sweet and savoury. 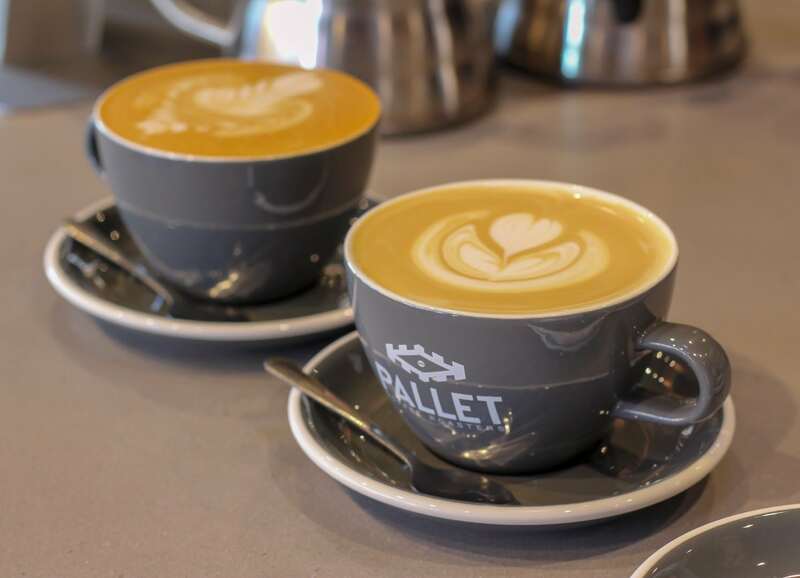 “The staff at Pallet Coffee Roasters are all so f*cking good looking that they should be part-time models”. The new venue has kept the style of the previous locations (shipping pallets) but has tailored it to have a community feel to it, given that they’re in the heart of the Oak street residential area. The layout is open and friendly, the bar is huge and the minor additions of things like bubble light fixtures give the whole place a playful feel. 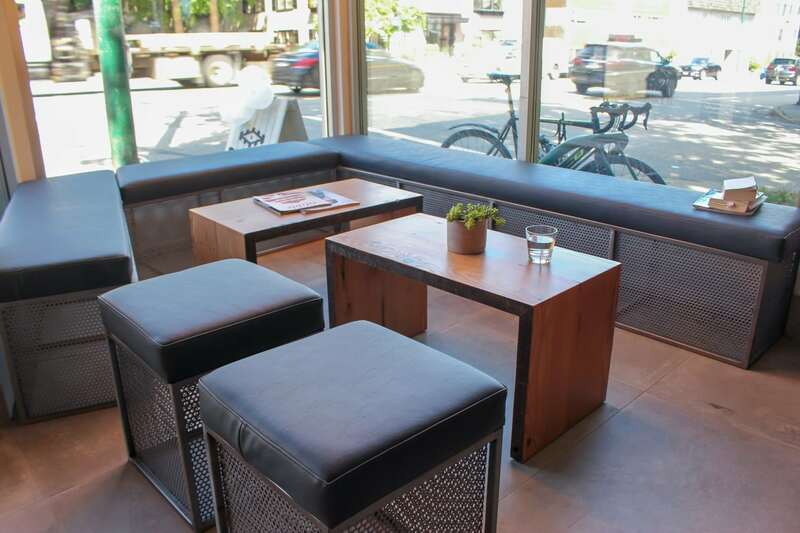 There’s plenty of seating as well as a small sofa area in the window. Honestly, I’ve never really spent much time exploring this area, because it’s a bit boring unless you live here. But as far as a community goes, it seems like it would be a lovely place to live. There’s a plethora of parking in the area, most of it free and on the side streets. There are bus stops close by as well as King Edward SkyTrain station about a 10 min walk away. No Mobi bikes in the area, unfortunately. The bathrooms at Pallet Oak Street were pretty basic but clean and nicely laid out. They have them separated out into male and female rooms, so the women don’t have to put up with the mess us chaps make. Hah, yeah right, we know who the cleaner of the sexes is! As expected, I loved Pallet Oak Street. They’ve captured a wonderful community feel, their coffee seems to get better and better every time I visit and their food program is always something I look forward to. With four venues under their belt I’m hoping they at least give me a reprieve before the next one, so I can come up with some new ways of saying how good they are. Also, have you seen how f*cking good looking everyone is there? 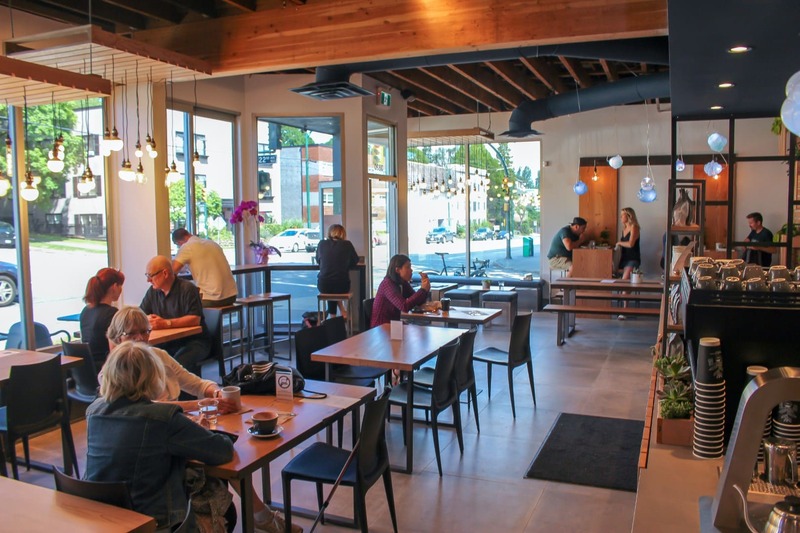 If you’re interested in their other venues, we have the Kingsway and Kitsilano locations reviewed too.